It was a five-encore kind of night. 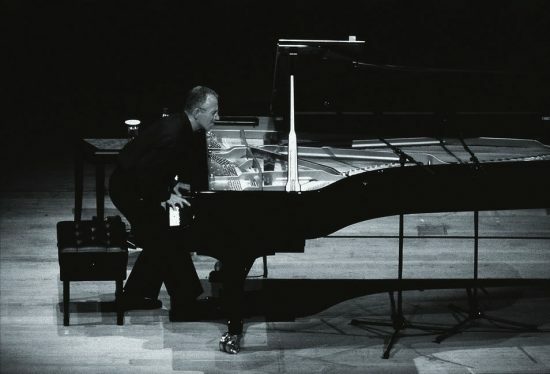 Pianist Keith Jarrett emerged from the wings to uproarious applause and launched into fast and free dissonance, like stream-of-consciousness Prokofiev. The first of two fairly succinct sets had begun. The only script Jarrett followed was the one evident on Radiance, his latest ECM double-disc: short, self-contained improvisations rather than album-side-length affairs. If anything, the short-length format afforded a spectacle of relentless creativity even more impressive than the epics of yore. The latter seemed to involve pure Olympian endurance, whereas these manageable gems revealed an innate and unerring sense of craft. The second of five pieces was a minor modal groove, a foot-stomper. The next was all twilight colors and minor-key balladry, with fleeting modulations to the major that verged on the exotic. 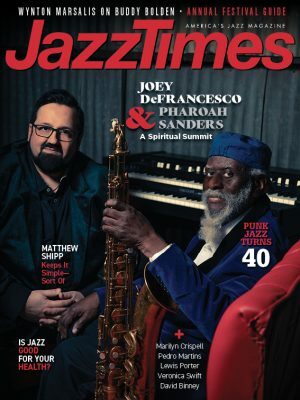 Dense, high-register glissandos announced the fourth piece, which grew into topsy-turvy jazz with an arresting passage of big, nebulous block chords. The closing piece had what seemed like perfect form: a chorus, a coda, everything. Beginning darkly, it surged forward into grand, singable arcs. And Jarrett did sing, and moan, and exhale in his distinctive loud grunts. It would almost make sense to issue his live recordings in “explicit” and “clean” versions, with and without these controversial noises. But at times the pained expressions and physical contortions heighten the awe of Jarrett’s creative act, in which every cadence, every line, is felt in the deepest way. Even at its most contemplative, this is full-impact music. Following intermission, Jarrett unleashed turbulent atonal fury, working up to blinding octave runs that evoked a double-time jazz feel-as though he was battling an imaginary rhythm section. Switching gears, he concocted a gospel-folk number with momentary hints of “Let It Be,” adding harmonic twists as he went and ending with an impossibly deft blues lick. The legato ballad that followed was bathed in rays of melodic light, but achingly sad. The next was busy and complex, with a driving rhythm, oblique tonality, increasingly jazzy ornaments, a riveting single-note break and a decisive low-register finish. For the sendoff, Jarrett lingered on a pedal-point pulse that flickered like a candle, slowly and steadily, until it burned down to a wisp of smoke. The Keith Jarrett encore ritual is something to behold, especially when it’s repeated five times. This crowd was committed to the end. But it was the women who tended to speak up: “You’re wonderful!” one shouted. “Thank you!” blurted another. Jarrett responded with gracious good humor. It is the audience, after all, that fuels and sustains him. His first encore was an extemporaneous major-key ballad, followed by the bright original “Paint My Heart Red,” then the far more famous “My Song” then a fun boogie-woogie blues improv. Returning from the wings one final time, he bade farewell with “Time on My Hands”-in the title, perhaps a wry suggestion that he could go on forever.